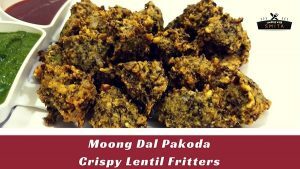 Paneer Pakoda / Paneer Pakoras can be made in many variations using the different filling. Here I’ve used Chutney as filling and trust me it tastes delicious. 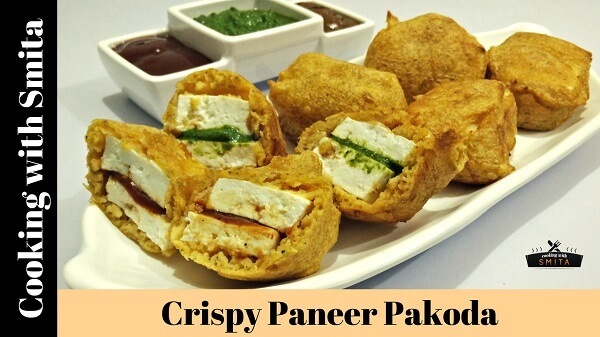 Paneer Pakoda can be served as an evening snack or Tea Time snack. Here’s a quick and straightforward recipe to Paneer Pakora at home. Slice Paneer into Square cubes of approx. 1-inch and cut each cube into the half. Add Green Chutney, Tamarind Chutney or Tomato Sauce on Paneer slice and put another slice over it making sandwich cubes. Remove excess filling from sides. For making the batter, add Carom seeds in Besan. Add soda, red chilli powder, salt and Pakora Masala. Add water as required and prepare a thick batter. Take tbsp. Coriander seeds, 1 tbsp. Fennel Seeds, 1 tsp. Black Pepper & 1 tsp. Carom seeds and grind all together. The batter should be thick enough to coat Paneer properly. Heat oil on medium flame. Deep fry till they turn golden brown.